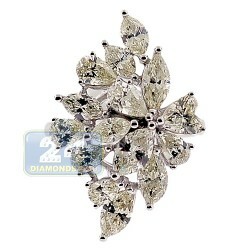 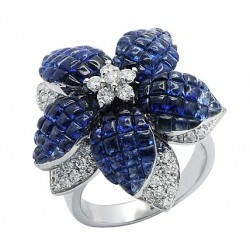 Dress yourself up with something fascinating and extraordinary! 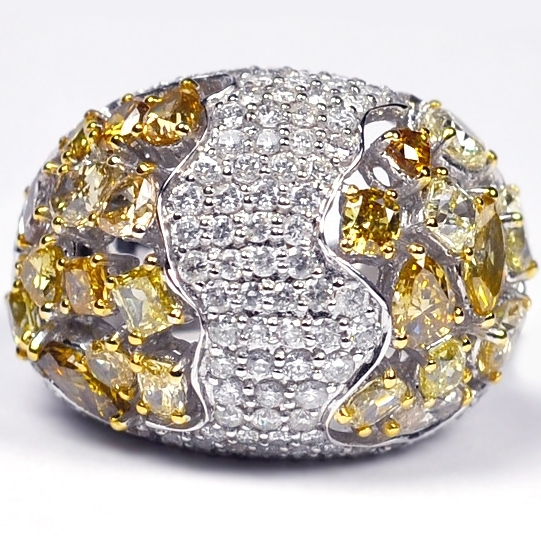 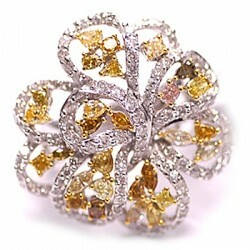 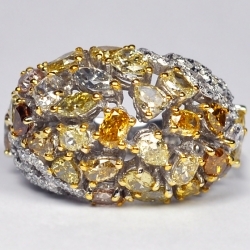 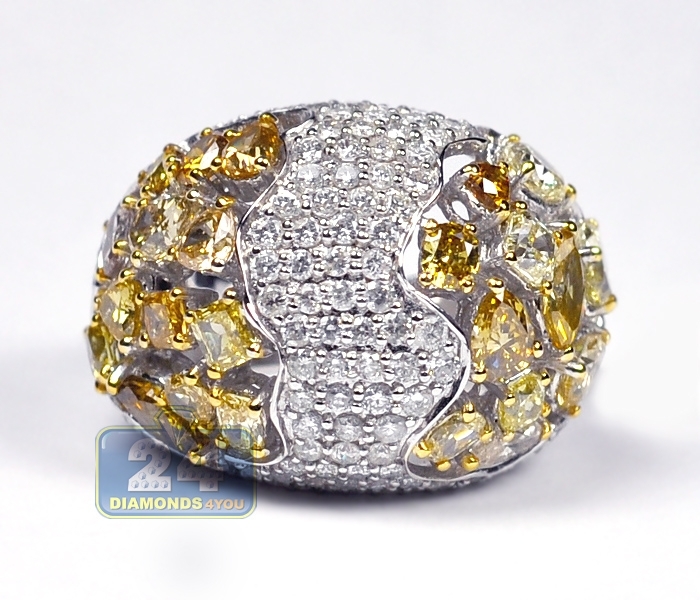 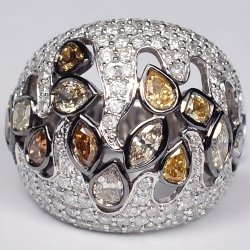 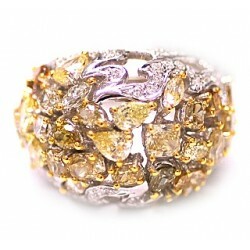 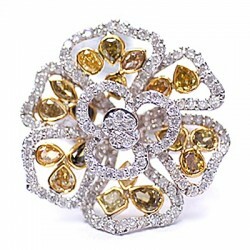 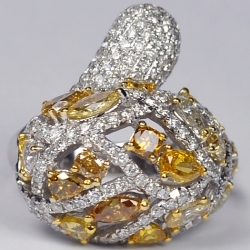 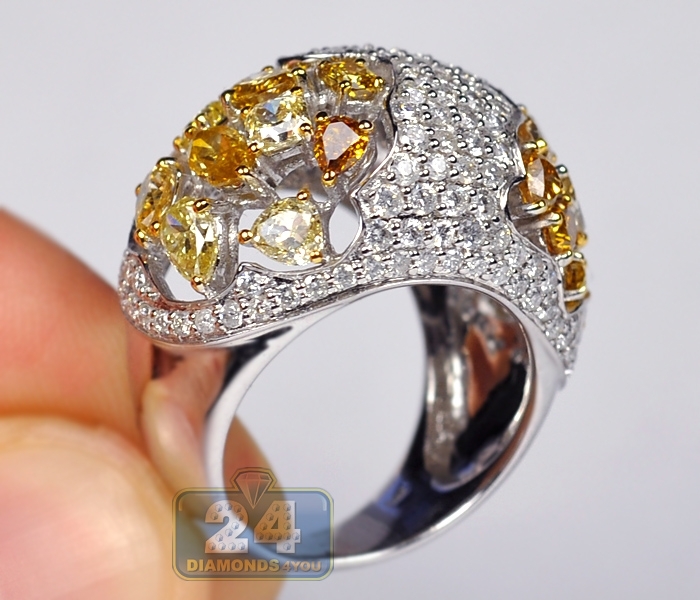 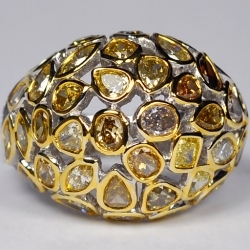 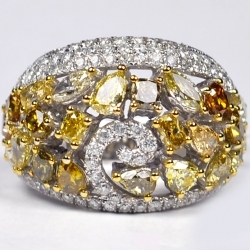 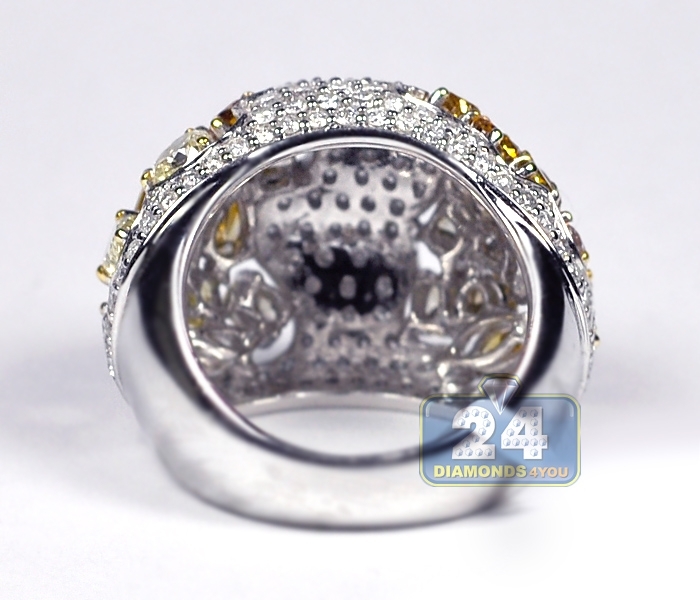 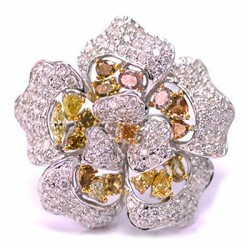 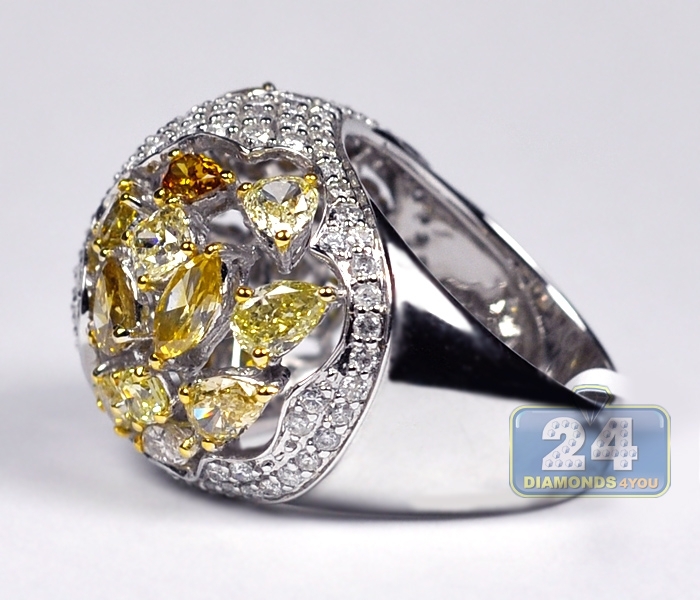 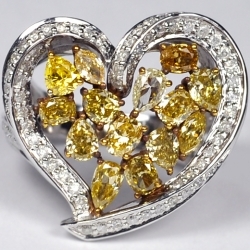 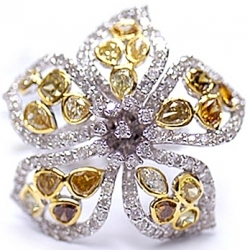 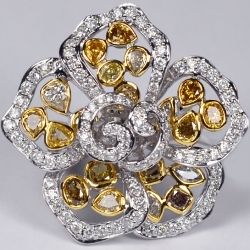 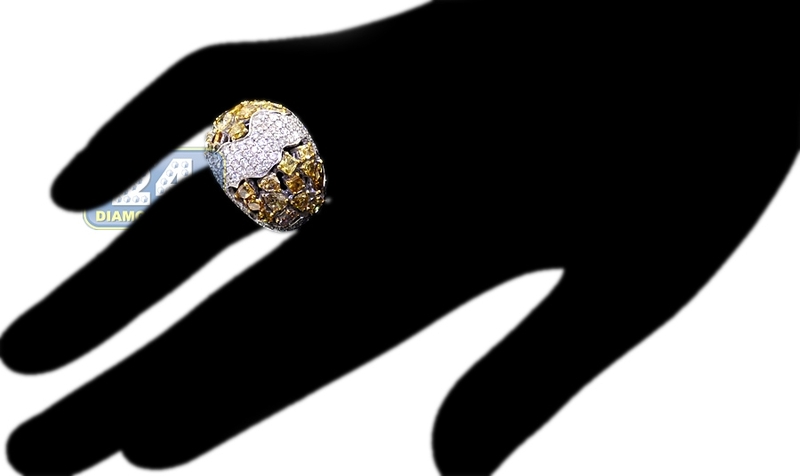 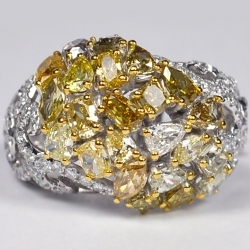 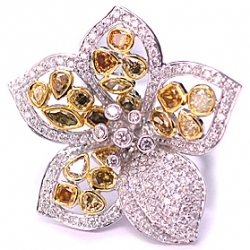 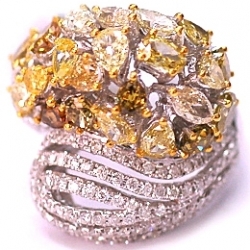 Masterly handcrafted in cool 14k white gold with perfectly polished finish, this unique dome ring features a beautiful design covered in dazzling natural fancy yellow, brown and icy white diamonds of multi shapes like round, oval and pear. 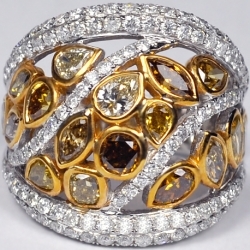 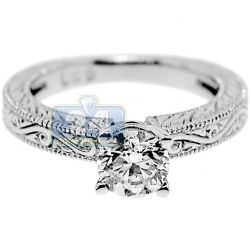 A spectacular look for your special person!